When most people imagine moving day furniture disasters, they probably imagine damage to a piece of furniture that they hold near and dear. As bad as that sounds, the damage could be much worse! 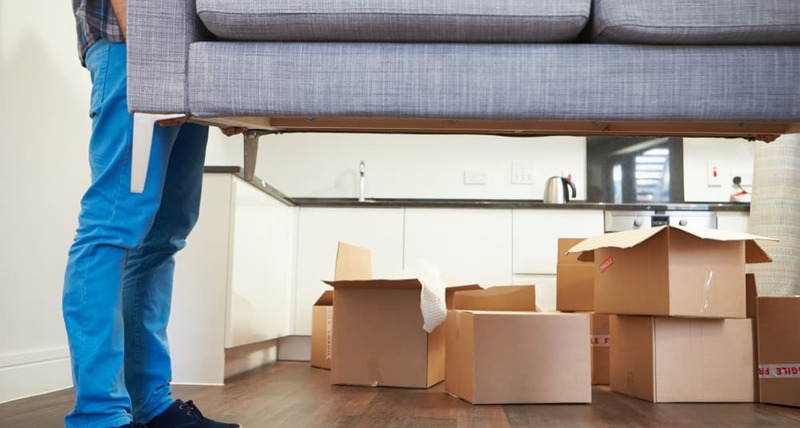 When it comes to moving, you can inflict damage to your furniture – not to mention the structure of your new home – if you or your movers aren’t careful. But don’t worry – we have you covered! Read on for our best tips to avoid damage to your furniture and your new home during your move. Wrap your furniture in moving blankets, which are designed to prevent nicks and scratches to your furniture (and walls!) while moving. Better yet, you can easily stack furniture (like chairs) that are wrapped in blankets on top of one another without worrying about the furniture getting scratched. You can also use sofa covers to protect your furniture, which are fitted exactly to the size of the piece of furniture. Sofa covers, however, tend to be more expensive than moving blankets. Dissemble whatever pieces of furniture that you can, and keep track of the pieces that are needed to put it back together. 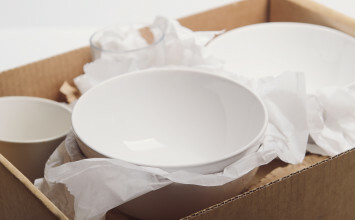 The smaller the item, the easier that it will be to move and the harder it will be to scratch walls or door frames. Carpet film protector – think of it like clear plastic sheeting – is one of your best bets if you want to protect your flooring during a move. Carpet film protector, however, doesn’t run cheap, so be sure to check out a few more budget-friendly tips below. Keep it cheap, and place carpet runners, throw sheets, or even large pieces of flattened cardboard paper along your floor. It’ll do wonders for protecting your flooring! Place felt pads on the bottom of chairs, sofas, and table legs. That way, you’ll still be able to move your furniture around without lifting anything up. Pro-tip: If it’s raining on moving day, make sure to not pack up your welcome mat! That way, your movers will be able to wipe off their shoes before entering your home (and not soil the carpet in the process). Certain corners in your home will undoubtedly receive higher traffic than others – install corner guards to prevent furniture from getting snagged on the corners. Cover the walls with drop cloths to prevent scratches, holes, or other bruises from other pieces of furniture. You can even stick flattened cardboard to the wall and attach the cardboard with painter’s tape (which won’t peel the paint off the walls). Obey the golden rule: Measure twice, move once! Measure the piece of furniture ahead of time to make sure that the doorway is wide enough to fit the piece of feature that you’re moving. 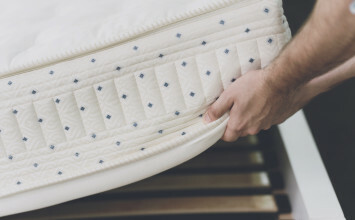 Believe us, you’ll prevent tons of nicks and scratches in the process. Banisters and railings are often in high-traffic areas and are therefore likely to get bumped or bruised. To avoid damage, wrap the entire banister in bubble wrap, or even attach flattened cardboard to the top of the banister. So, there you have it! 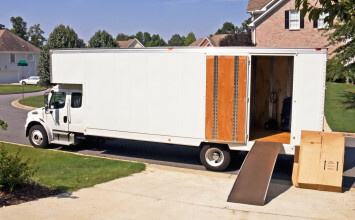 With a bit of set-up, move-in should be smooth sailing – with minimal damage to your furniture and your new home.